Small, straightforward and long-lasting – the SGS Engineering range of car wheel dollies and skates let you move vehicles around your garage, workshop or showroom with precision and ease. We supply car moving dollies in sets of two or four, with a variety of options that best fit your exact needs and budget. Here at SGS, you can be sure of getting a great value solution for your garage. Take a look at our entire range of two-wheel and four-wheel car dolly wheels to make sure you get the solution that’s right for you. Whether you’re a DIY sportscar enthusiast or the owner of a commercial garage, our car dollies are up to the job – helping you move vehicles with care in even the most confined spaces. What is a wheel dolly? A wheel dolly is a piece of garage equipment that’s designed to sit under the wheel of a vehicle. Using in conjunction with a trolley jack, you’re able to lift the vehicle and lower the wheels onto the wheel dolly. This allows you to move it around a garage or workshop and get the best angle to work on it. Car skates or wheel dollies can be particularly effective if the vehicle won’t start. Available in sets of two or four, we offer both hydraulic and jacking wheel dollies. 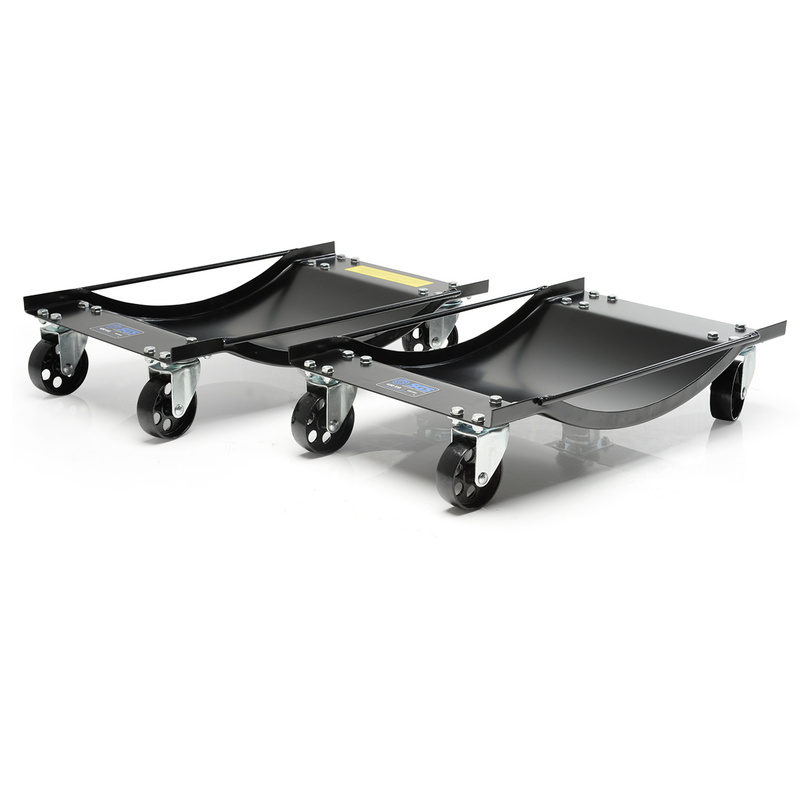 Jacking dollies are made from pressed steel, include heavy duty castors and can support loads up to 450kg per dolly. Meanwhile, our hydraulic car skates can lift even more – offering a load capacity of 680kg per skate. No matter your garage equipment needs, SGS has the solutions for you. With a vehicle dolly set from SGS, you can get the most out of your garage. For easy movement and full 180-degree pivot capability, car dollies are an essential addition to your equipment. And you could receive your new set of dollies as soon as tomorrow. Just order before 4pm weekdays and take advantage of our free Next Working Day delivery service. 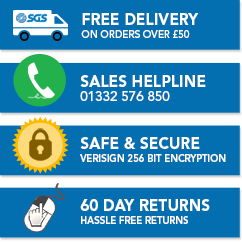 At SGS, we pride ourselves on the quality of our products. That’s why we’re more than happy to supply all wheel dollies with a two-year warranty as standard. But if you’re unsatisfied with your purchase for whatever reason, we’ll refund it - no questions asked - if you send it back to us within 60 days of delivery. High quality products with the service to match is what we aim for. Let us help you get the most out of your garage or workshop. SGS aims to offer the most useful range of garage equipment on the market, but we’re also here to make sure you get the correct products for the task. Take a look at our handy buyer’s guides and how-tos for more inspiration – or get in touch if there’s a question you have that we haven’t yet been able to answer. How to use a set of axle stands - This guide shows you how to safely and securely lift a vehicle to help you complete a range of tasks. Get Started With Car Maintenance - From brakes to bodywork, this guide helps you get to grips with any car maintenance job.